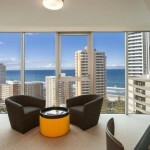 The spectacular twin-tower 5 Star Hilton Surfers Paradise is set in the heart of Australia’s favourite holiday destination. 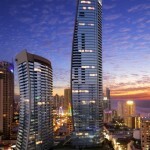 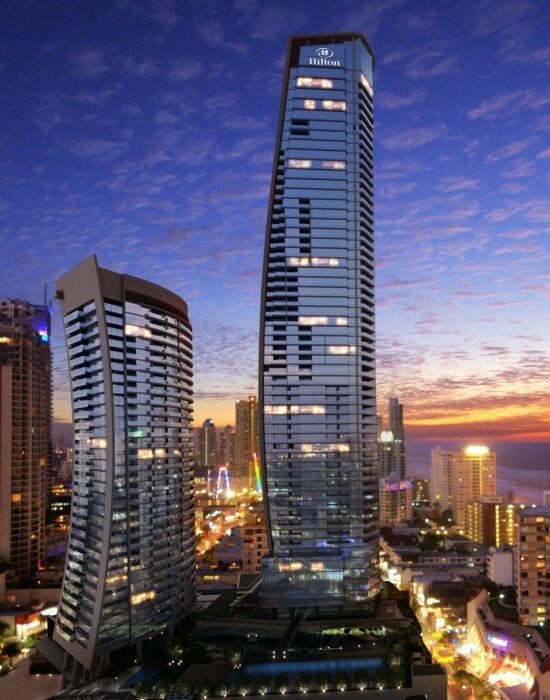 Entry is in Orchid Avenue, which connects the luxury designer outlets of Elkhorn Avenue and the legendary Cavill Mall. 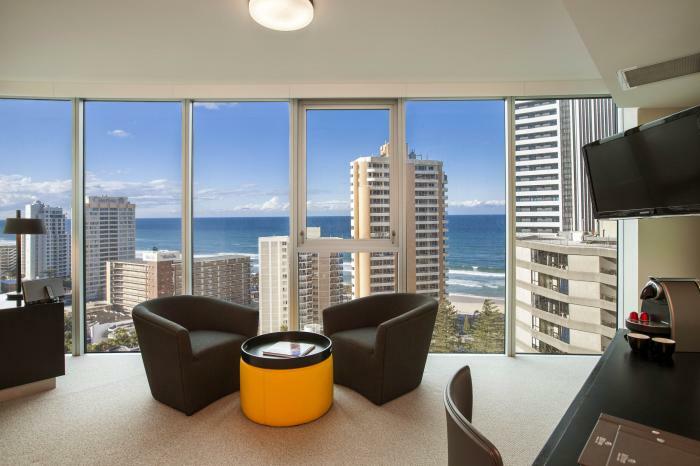 This resort hotel is just 2 minutes walk to the iconic Surfers Paradise beach, and is surrounded by a huge choice of restaurants, eateries, diverse entertainment options and spectacular shopping. 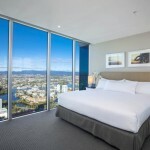 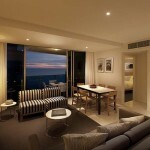 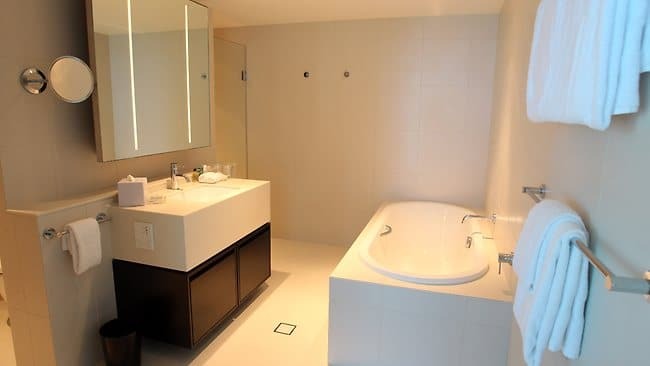 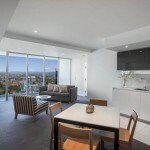 Hilton Surfers Paradise offers over 400 luxury guest rooms and spacious self-contained residences (apartments), with contemporary designer furnishings. 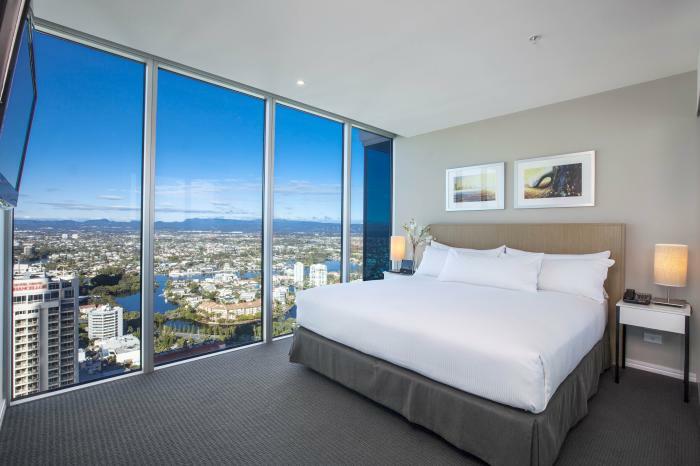 The hotel rooms offer modern spacious interiors with an average floor space from 37m2, LCD TV’s, iPod docking station, your choice of king or king-single beds, and some rooms feature balconies with a spectacular City or Hinterland view. 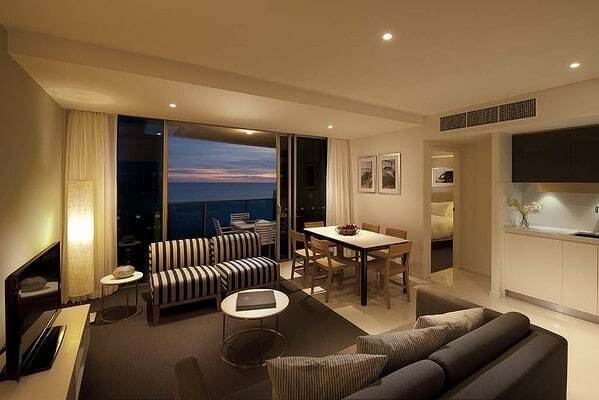 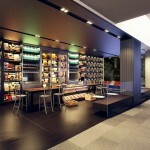 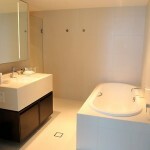 The 5 Star deluxe residences provide all the comfort and convenience of a holiday apartment. 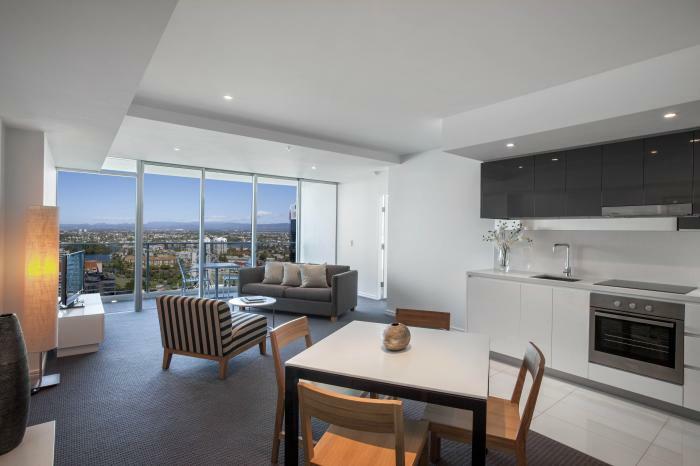 Each residence (apartment) features a separate living and dining area, luxury appliances, private balcony with stunning views, LCD TV’s, over-sized bathrooms, modern full-sized kitchen, laundry and mini bar. 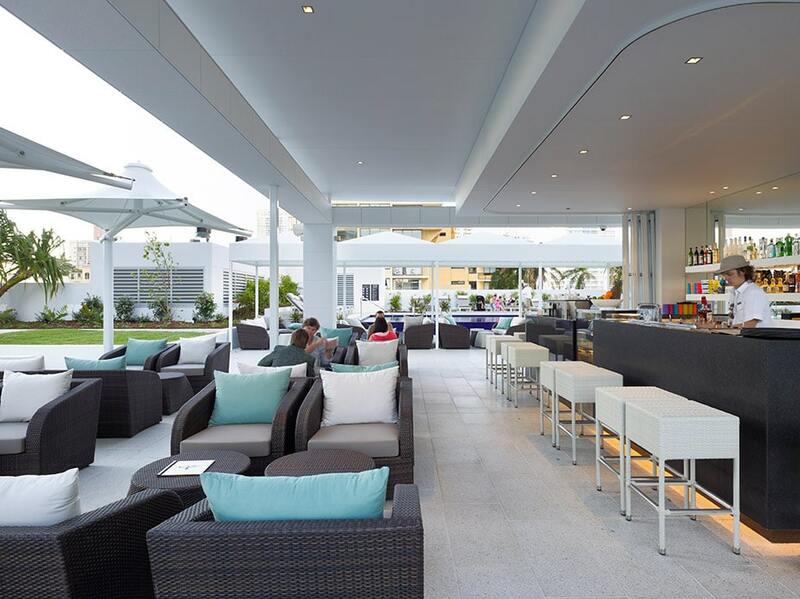 The residences enjoy the added benefit of the Hilton’s 5 Star services and facilities such as 24-hour reception, in-room dining and valet parking. 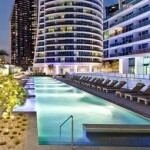 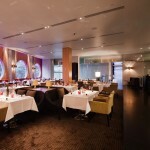 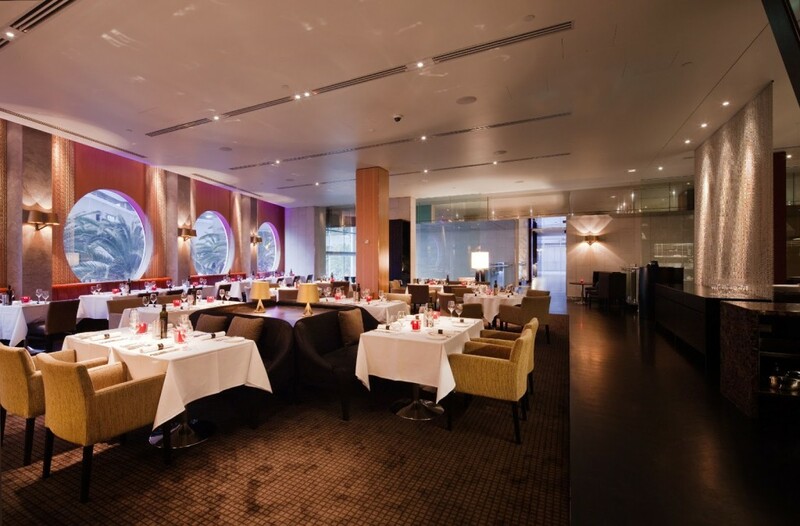 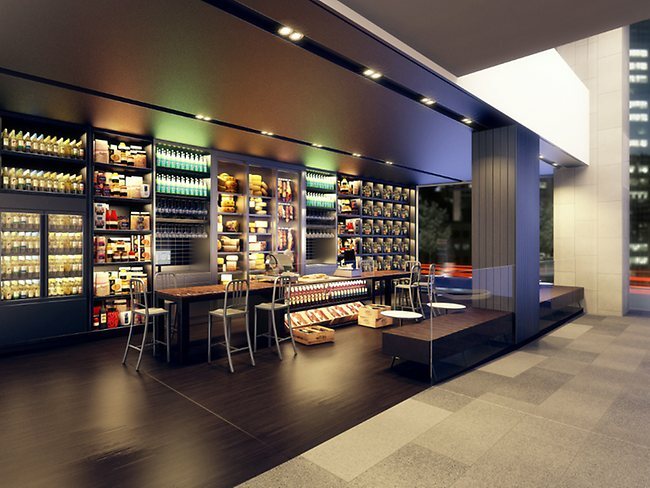 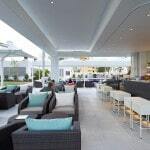 Hilton Surfers Paradise also offers restaurants and bars including Luke Mangan’s ‘Chefs Hat’ award-winning Salt Grill Restaurant, FIX Lounge Bar, and The Food Store which is a European style delicatessen. 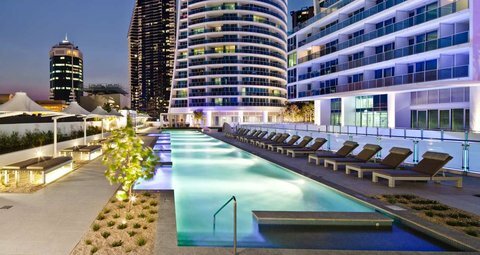 Recreation facilities on the Recreation Level include 4 pools, the luxury eforea Spa, fitness rooms, outdoor podium, pavilion and terrace.